Raisin > +1500 places referenced where you can find natural wines! 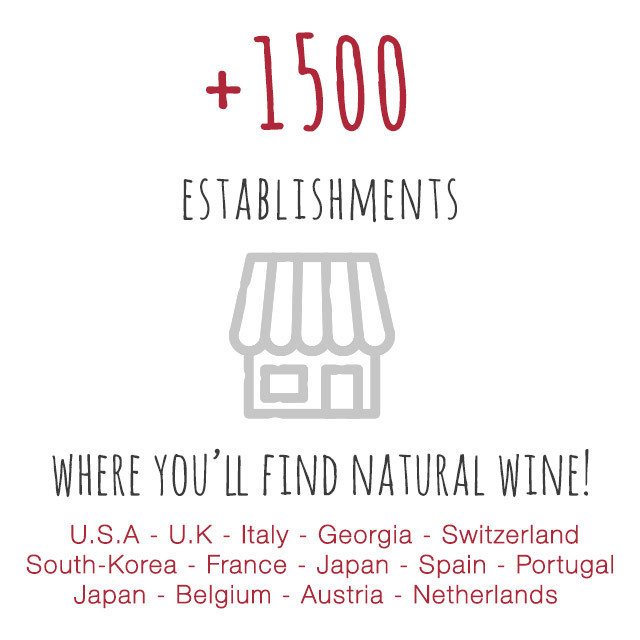 +1500 places referenced where you can find natural wines! Hot off the press, we have just passed the impressive threshold of 1500 establishments referenced and recommended on the Raisin application. This represents hundreds of hours of work, exchanges and meetings which is perfect because that is exactly what we try to do with our application: amplify and federate a movement which is reputed to be confidential. IN FRANCE: 754 in total: 278 in Paris, 35 in Lyon, 20 in Angers, 14 in Strasbourg, 14 in Marseille, 9 in Nantes, 7 in Rennes, 6 in Saumur. IN THE REST OF THE WORLD: 152 in Japan, 152 in the USA (of which 77 in NYC), 146 in Belgium, 69 in Italy, 48 in Spain, 41 in Canada, 31 in Switzerland, 22 in Amsterdam, 10 in Australie, 5 in Georgia (Tbilissi), 6 in Poland, and we also have places in Taipei City, Bangkok, Moscow, Hong-Kong and in Luxembourg. AS A REMINDER, THESE ESTABLISHMENTS ALL OFFER AT LEAST 30% OF NATURAL WINES. What next? Our current priorities are Italy, Great Britain, Australia (where there are more than 60 natural winemakers!) and the Nordic countries. We should soon have an global image of the influence of natural wines. Its big, really big, and far more important than you might think. 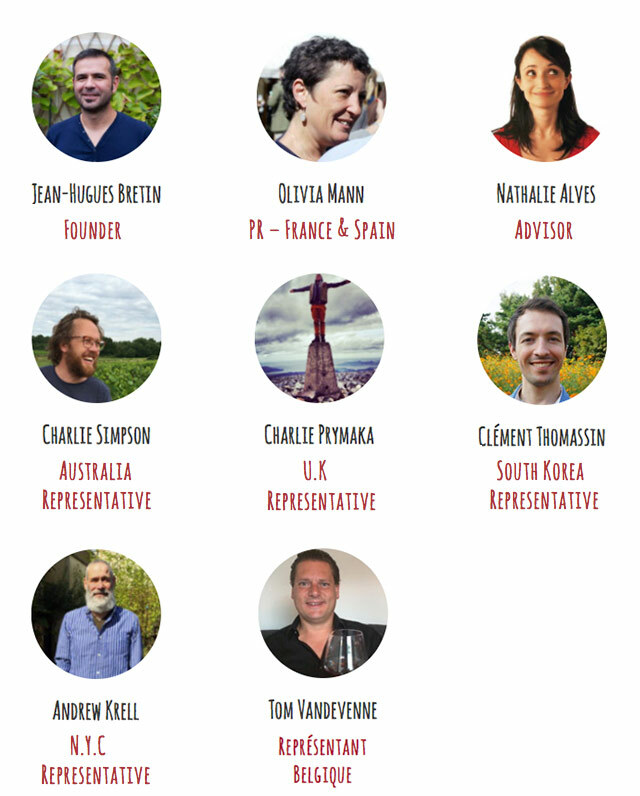 A huge thank you to the team: Nathalie Alves, Andrew Krell, Charlie Simpson, Charlie Prymaka, Clément Thomasson, Tom Vandevenne and very especially Olivia Mann for all her hours of hard work. an ENORMOUS THANK YOU to you, our users, who contact us daily to help us keep the map as complete as possible. Without you, this project would be nothing.